Negotiate with yourself before negotiating with employers. We make the decision that it's to time leave our current employer and look for another job. Once you've started your job search, you've cut the emotional ties and now it's just a matter of time until you get the right job offer and then you are on your way. But what happens if you were not actively looking for a job? Suppose you were as happy as a pig in ****, okay you were really happy and then a request for a job interview comes knocking on your door? You go on a few interviews and then you get a job offer you were not planning on. A job offer as a result of proactive job search is, in a way, a little easier to handle than a job offer that is unsolicited (i.e. when you were not actively looking for a job). A case in point- a friend of mine was happy in his job. The hours were flexible and the pay was good. He liked his boss, liked the people he was working with and was happy with his responsibilities. Then a friend of his told him about a great opportunity at another company. Long story short, he went to the interviews and actually got a job offer, which challenged him to make a decision he was not prepared to make. I'm a big believer in “it never hurts to listen” even if you were not looking for a job change, but you need to be prepared for the outcome (before the big event). While compensation should not be the single driving factor of your job search, it is certainly in the top two or three considerations (who wants a new job for less money?). Your job offer will obviously include your salary and bonus details. Prior to your offer, you should have done some homework on the current market rates for your position. While this is not a hard and fast rule, you will have developed some ranges as to what to expect. If you did not do this prior to the offer, it's never too late to take a look. Too much of an increase – sounds like a nice problem to have, but if your offer is significantly higher than your current compensation (greater than 25%), it might be a cause to worry. Excessively high compensation offers are often signs of a bigger issue. This is where your due diligence homework comes in (salary surveys and reviews). Try to find someone in your network that has some inside information about the department/position you've been offered. Salary increase is too low – while there is not a set percentage increase that you should expect when changing jobs, the job offer should reflect the risk of changing jobs. If you are leaving a current job, as opposed to looking while unemployed, there is a fair amount of risk. Less than a 10% increase might be an issue, but consider the following 9 items along with the compensation piece before making a decision. Potential – there should be reasonable upside potential in your future compensation at your new job. You should ask some questions regarding annual compensation / performance reviews. You should also consider where you fall on the low/high compensation range for your role. Where you fall on the salary range will drive (to a certain extent), upside potential. If you are already earning at the top of your range, the prospect of significantly higher increases will be somewhat lower. Variable compensation – you should also consider any variable compensation such as bonuses, overtime pay and sales commissions where relevant. Regular performance reviews (another question that should be asked during the interview process) also play a key factor. Not to worry, if you did not ask these questions during the interview process it is not too late. The job offer negotiation process (more on that later) is a bit of a give and take (hopefully ‘take,' for you). Who you will report to: your manager and reporting line should be clearly defined in your job offer. How many bosses will you have? Who does your boss report to? Who works for you: How large is your staff? Are there any issues to consider? 4) What Do You Need to do to be Successful? You need to fully understand expectations. What is expected, what must be delivered and what are the obstacles you will encounter? How long will it take you to “come up to speed”? Will some training be provided? Will you need to “hit the road running”? Depending on your level of experience and position in the new company, there will be some expectation that you can come up to speed quickly. You need to ensure that those expectations are reasonable. Don't get yourself into a “no win” situation. What happened to the previous person in the role? More likely than not, you will be taking a position that belonged to someone else. If you are lucky, the person who had the role before you was promoted and that's why the position is available. But if the person left the organization, you need to understand why they left or were asked to leave. This is a great time to leverage your network to see if anyone you know can help you find out the details. You should also feel comfortable with the department's and company's turnover. Sounds basic, but make sure you fully understand your benefits. While not directly “compensation”, the value of benefits provided (or any shortfalls to what you currently have) can have a huge impact on your overall net gain over your current role/company. 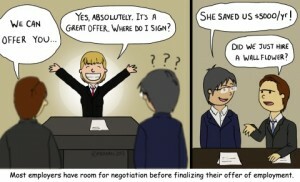 Compensation is always up for negotiation. Vacation is also a somewhat easy benefit to negotiate. Benefits are probably not negotiable. Make sure you balance your requests, pushing too hard could end the offer. On the other hand, don't settle and be prepared to walk away if you feel the offer falls short. Items 1 through 9 should help you make your decision but the good old “pros and cons” list is the best way to go. Counteroffers are very common. My own personal view is that if it takes a resignation to have your company offer what the new company is offering – and many times, more than what is being offered – then it is too late. On the other hand, a counteroffer generally means that you are highly regarded and that they don't want to lose you. 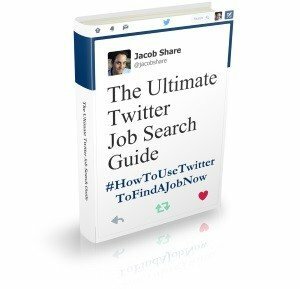 Make sure you fully review the reasons you decided to search for a new job and that you are comfortable with staying (you don't want to be looking for a job again in six months). Life is a journey and your decision is just one more step in that journey. There is no such thing as a “bad decision”, there is no looking back, only looking forward. Whatever you decide, good luck in your search. Joey Trebif is a senior finance executive from the New York area who has extensive experience in job search and career advice. Joey blogs about career advice, job search advice and job search site reviews at CareerAlley.com and can be found on Twitter at @CareerAlley and LinkedIn at http://www.linkedin.com/in/careeralley. READ NEXT: Should You Always Reject the First Offer For a Job? 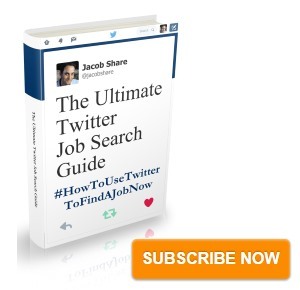 Subscribe to JobMob via RSS or email and follow Jacob Share on Twitter for ideas on how to get multiple job offers.